Amazon.com description: Product Description: The long awaited follow-up to our all-time bestseller Thinking with Type is here. 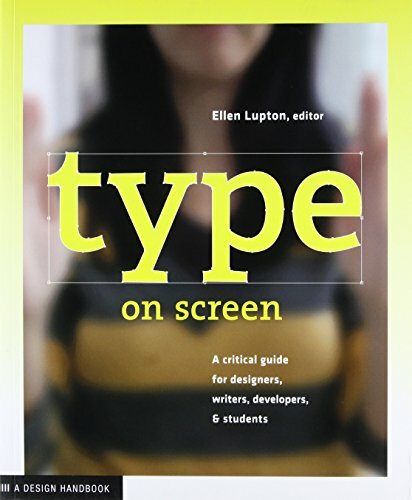 Type on Screen is the definitive guide to using classic typographic concepts of form and structure to make dynamic compositions for screen-based applications. Covering a broad range of technologiesâfrom electronic publications and websites to videos and mobile devicesâthis hands-on primer presents the latest information available to help designers make critical creative decisions, including how to choose typefaces for the screen, how to style beautiful, functional text and navigation, how to apply principles of animation to text, and how to generate new forms and experiences with code-based operations. Type on Screen is an essential design tool for anyone seeking clear and focused guidance about typography for the digital age. About: The long awaited follow-up to our all-time bestseller Thinking with Type is here.